Drylocker uses only fast drying natural room temperature air and therefore will never harm or damage your equipment unlike constant ozonating or heat use which overtime will break down rubber, leather and other material. 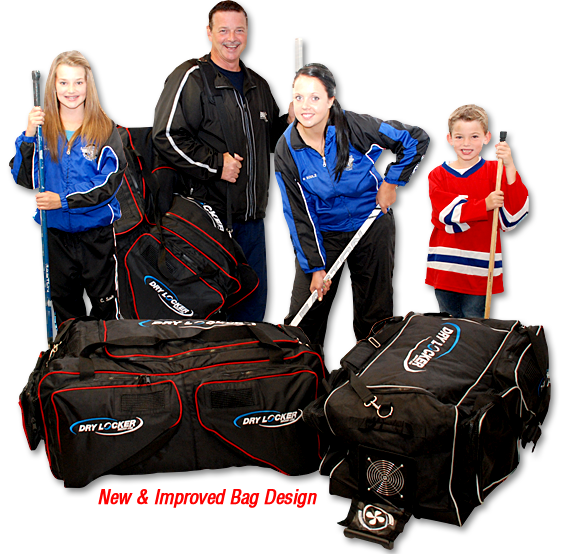 Due to our patent pending technology, you will never have a "stinky or smelly" hotel room or basement again, due to drying hockey equipment. You will never forget equipment at home or play with wet equipment again.